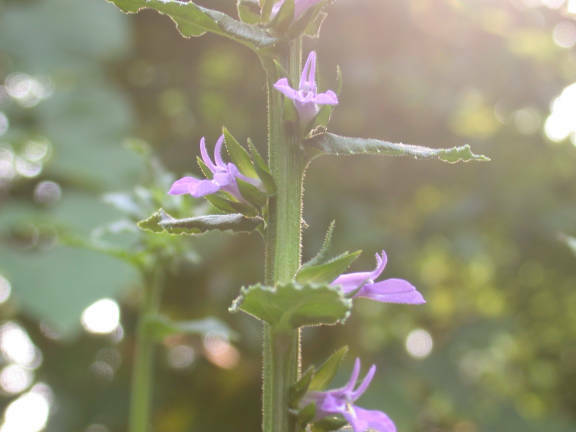 Forests, openings (Weakley 2015). 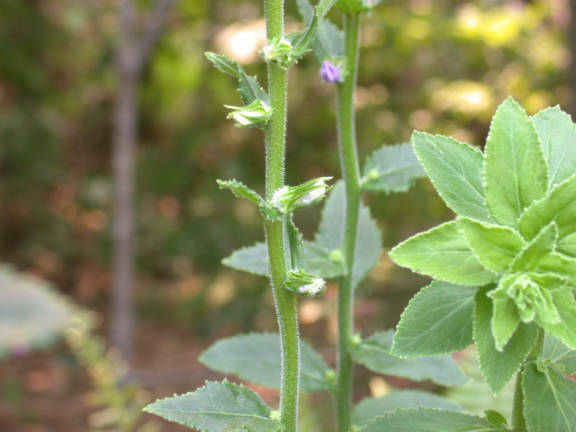 Common throughout NC. 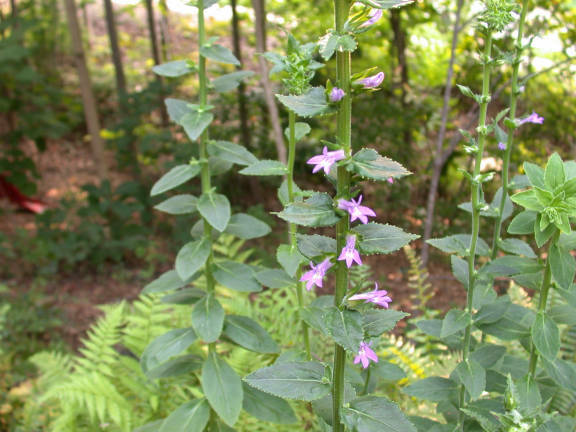 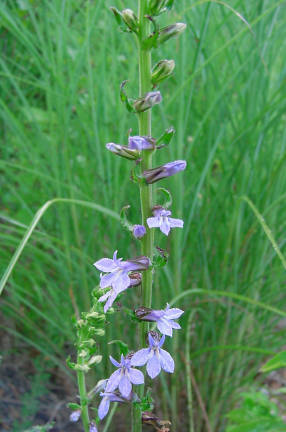 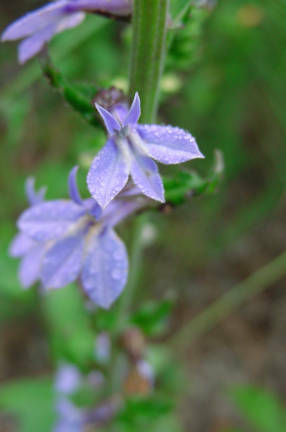 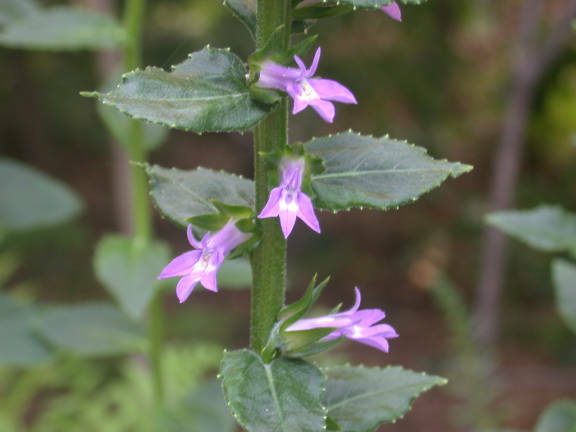 Items of note are that the blooms have one white mark (vs. two on Great Blue Lobelia), and the flowers seem be on one side; the plant is densely hairy. 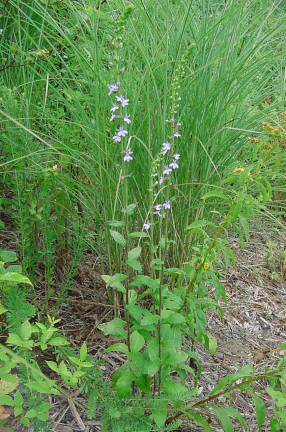 These plants were found in a fairly dry sewer easement, although it did puddle up in the tractor ruts.